ESS (M) Sdn Bhd added 3 photos in Protection Relays - MiCOM Px10 Series Category. ESS (M) Sdn Bhd added 2 photos in Motortronics - Phase Controllers Category. ESS (M) Sdn Bhd added 5 photos in Motortronics - Low Voltage Soft Starters Category. ESS (M) Sdn Bhd added new photo in Motortronics - Medium Voltage Soft Starters Category. ESS (M) Sdn Bhd added new photo in Lineator AUHF Category. ESS (M) Sdn Bhd added new photo in Danfoss / Vacon - Low Voltage Drives Category. ESS (M) Sdn Bhd added new photo in Motortronics - Phase Controllers Category. 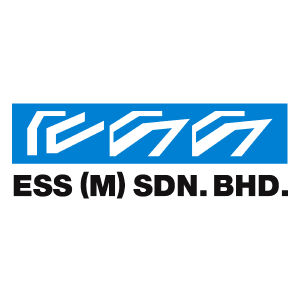 ESS (M) Sdn Bhd added new photo in Motortronics - Motor RTD Monitor & Relay Device Category. ESS (M) Sdn Bhd added new photo in Motortronics - Electronic Motor Brakes Category. ESS (M) Sdn Bhd added new photo in Motortronics - Low Voltage Soft Starters Category.